TORONTO: At least 17 people are dead after a 19-year-old man opened fire at a high school campus in Parkland, Florida, Suspect is in custody,police have said. 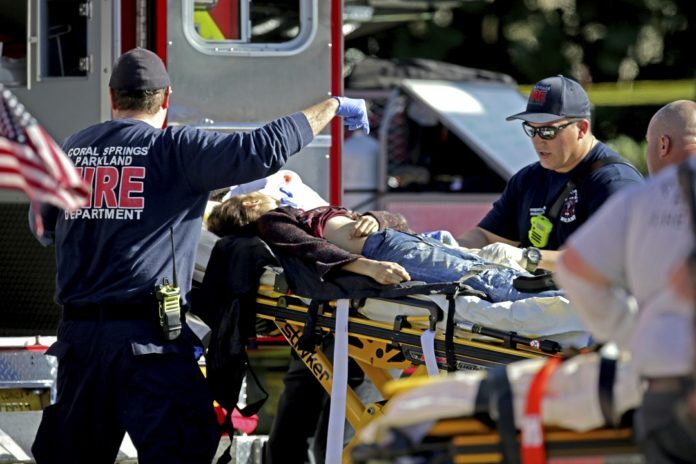 According to media reports, that A shooting at Marjory Stoneman Douglas High School in Parkland, Florida, has left at least 17 people dead and multiple people injured. Students and adults are among the victims, according to Broward County Sheriff Scott Israel. The suspect has been named as Nikolaus Cruz, 19, and is a former student at the school who had been expelled. Cruz, who was armed with “multiple magazines”, began the shooting spree outside the school before opening fire inside, according to officials. Mr Cruz killed three people outside the school, before entering the building and killing another 12.